One of my favorite things is how corn fields are all lined up perfectly in rows. 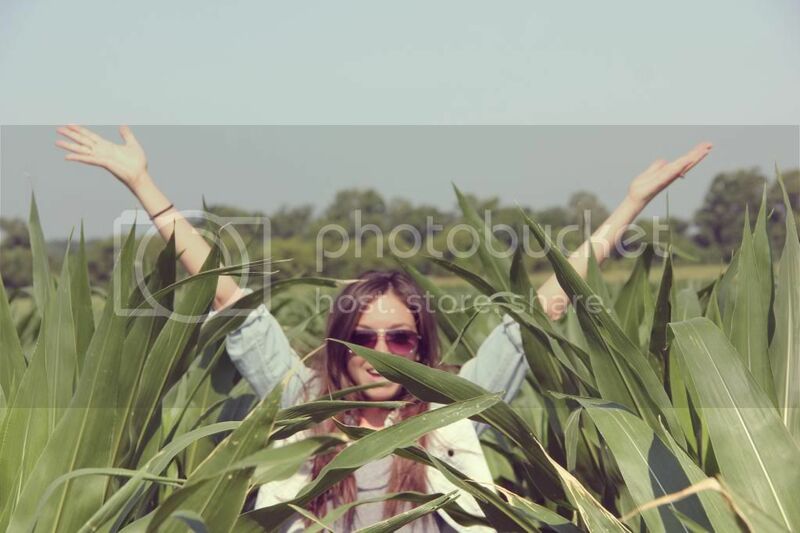 I get so excited when driving by corn fields. I don't know what it is, but I truly think they're beautiful. 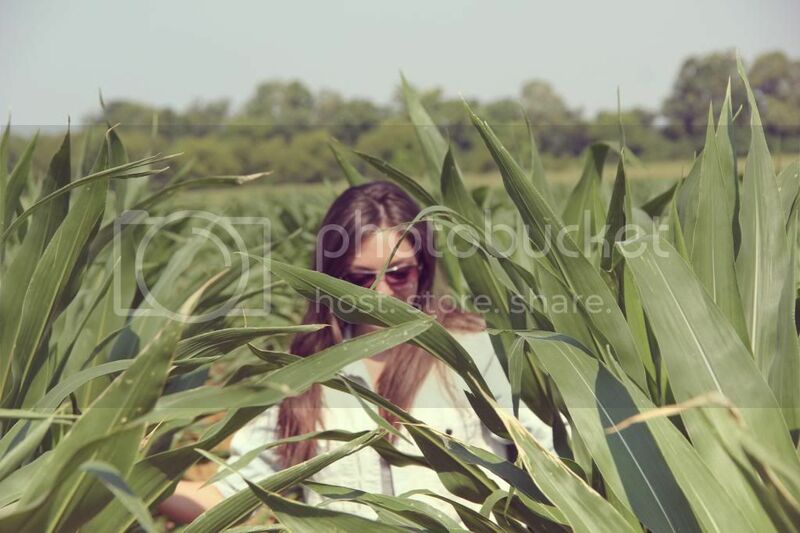 Saturday, Jeremy gave me the chance to play in a corn field. PS. Remember when Jeremy took me to a cotton field? hah clearly it doesn't take much to make me happy. How fun are these pictures? We definitely don't have corn fields in California! Haha you guys are too cute, I love it! This is totally something random me and the hubby would do :) Love your chambray blazer! SO cute. haha - you should see the post I have for tomorrow!!!! This is absolutely adorable! I have to admit, I love seeing corn fields too. The lines just look so neat...! I've never been to one though. You are just too cute! I think you should come to my hometown (small town USA) and see our Amish community. Such a cool photo shoot location!! You look darling. Thanks for linking up your chambray outfit to the Trend Spin linkup! I think the rows are beautiful too! Maybe it's the organization freak in me? :) Rodney would die laughing if I ever asked to stop...that's really sweet of Jeremy! 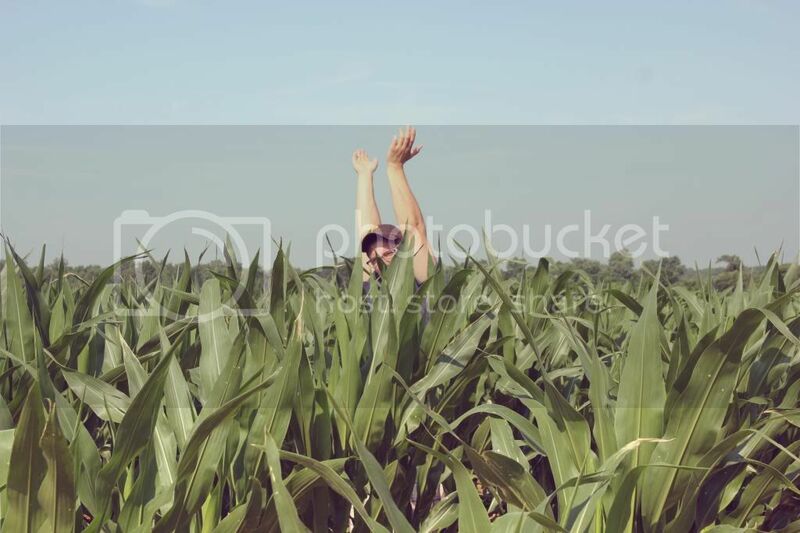 I think a corn field is a great place to take photos. And it totally makes me want some corn on the cob.